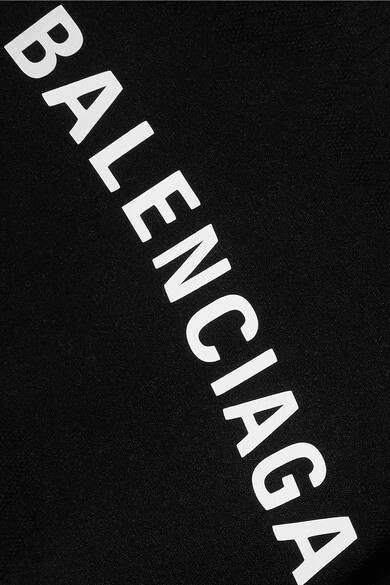 The logomania trend isn’t going anywhere, as Balenciaga’s moniker-adorned collections prove. Made in Italy from stretch-jersey, this top is strategically textured to enhance your figure. It's minimally decorated with the house's name in white block letters. Shown here with: Balenciaga Skirt, Balenciaga Shoulder bag, Balenciaga Sneakers.